Financial advice provided in a better way. A high percentage of investors are not satisfied with their financial advisors. Why not? At Pacific Investment Research, we understand that there are few things more important than the management and preservation of your life’s savings. You need to feel secure about how your assets are invested at all times. We only work with individuals and couples. We don’t work with corporations or institutions, so you get the attention you deserve. Your key contact is not a sales person. Instead you work directly with the professional money manager of your investment portfolio. By performing the day-to-day money management in-house, we can eliminate a layer of expenses associated with 3rd party money managers, mutual funds or ETFs improving your net returns with no additional risk. Let us worry about the day to day performance of your assets so you don’t have to. We are a phone call or email away if you have a question or concern. We are full service. We can help with all of your financial planning needs, for example buying a vacation home, refinancing your mortgage, drawing income during retirement, etc. While we don’t provide tax, legal, or insurance advice, we can refer you to experts that we trust. We are a fee-only service provider. No commissions ever. One asset-based fee covers all of our ongoing services—so after the initial planning phase, there are no surprises or add-on fees for general financial planning advice in the future. 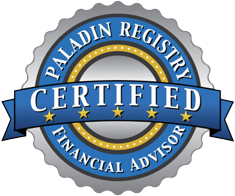 We act as a fiduciary, which simply means we put your financial interests ahead of our own. Schedule a free retirement check-up today.